We all get busy during our daily lives. I like to think sometimes I can stop and smell the roses to enjoy life. The grind can wear a person down. I enjoy mother nature and all she has to offer. I posted before about the geese living at the metro station. Well, they are growing. They are even starting to look like geese. 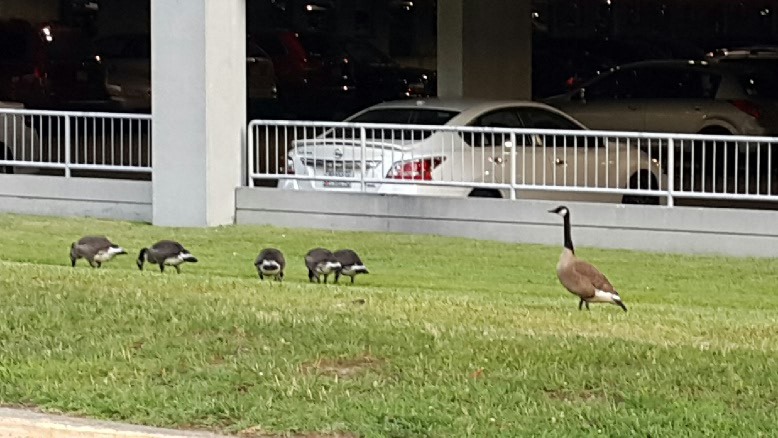 The momma and papa goose look over the heard (I believe it is called a gaggle) as they munch on the delicious buffet of mother nature. Remember folks, life is what we make it and the moments we can reflect that will give us peace are provided by God and we should not let them pass.